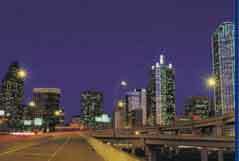 At Crescent Research, we approach market research from the perspective of Risk Reduction. This means that we help clients reduce their risk of making decisions based on wrong, little or no information. We're not just another typical market research vendor. We differentiate ourselves by the broad expertise we have in numerous research methodologies, our responsiveness to our clients' needs, our meticulous attention to detail, the strategic planning framework we bring to the market research process, and the senior level service that we provide each project. We also pride ourselves on the analytics that we conduct on the data, the insight we generate from the results, and the direction we provide our clients. 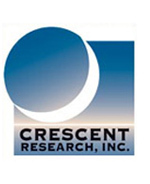 When you work with Crescent Research, we're more than just a research vendor; we are your partner. That's why one of our senior-level executives works on every project. From watching the schedule to making sure the questionnaire is correct and free from bias to the analysis of the results - a senior-level executive is in charge every step of the way. So, whether your next research project is jumping over the moon or something a little bit more down to earth, contact Crescent Research. Website contents © 2003, Crescent Research, Inc.